Gaposchkin pointed out that the humanities and STEM fields are separated and called for the need to develop a “common vocabulary” between the fields. Identifying a rising call to promote STEM education and cut liberal arts funding, Gaposckin cited Republican presidential candidate Marco Rubio’s comment during a debate that, “We need more welders and less philosophers.” People were quick to point out the irony that Rubio made a grammatical error — “less” instead of “fewer” — while devaluing liberal arts education. Gaposchkin also cited a comment from President Barack Obama with a similar message to that of Rubio’s. She noted that people, including politicians from both sides of the aisles, repeatedly imply that a liberal arts education is less practical than technical and manual skill training. Specifically, she wanted to address misconceptions that the humanities are impractical, that STEM is different from liberal arts and that liberal arts do not lead to employability. The liberal arts are not equal to humanities, as a liberal arts education is a way of teaching and learning to think rather than the acquisition of knowledge, she said. Gasposkin also said that the way of thinking that liberal arts education brings is valuable to employers and to professional success, citing her interviews with recruiters who came to Dartmouth. She added that there are many industries that do not depend on STEM fields, such as media, consulting, finance and politics, and many STEM industries, such as healthcare and information technology, also require plenty of non-STEM talent. She also explored the history of liberal arts, pointing out that many of the seven founding branches of liberal arts, including arithmetic, geometry and astronomy, are considered STEM by today’s standards. Gaposchkin argued that STEM and liberal arts each require the other by citing Thayer School of Engineering professor Peter Robbie, who previously said, “We need liberally-educated, expansive thinkers who are comfortable in many fields.” She added that science is better when embedded in liberal arts training. In her concluding statements, she emphasized that scientists who embrace humanities are more creative and tend to have broader variety. In the discussion that followed, audience members pointed to how the STEM fields often focus on technical skills, as opposed to broader critical thinking approaches that the liberal arts encourage. One attendee noted that the real threat to liberal arts at Dartmouth is the gradual increase of pedagogical conventions, adhering more to teaching information and skill, rather than focusing on developing methods of thinking in students. 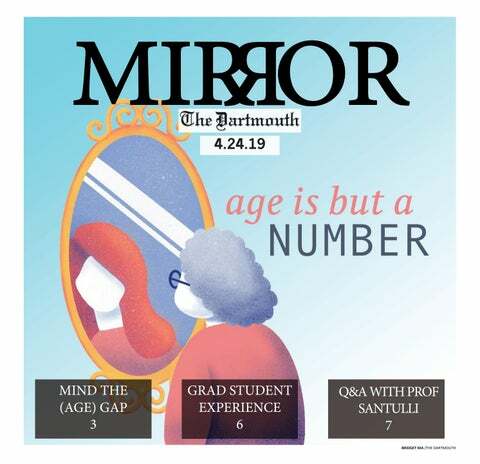 He said that the risk was compounded by the fact that undergraduates are often taught as if they were graduate students, as Dartmouth has relatively few graduate students. Attendees also discussed that what a liberal arts education entails is sometimes unclear — students might be more comfortable choosing a liberal arts education if they received more information about how it could apply to a future career. Another audience member pointed out that when comparing vocational training and liberal arts education, there is merit in the discovery and curiosity that liberal arts education fosters. Gaposchkin responded that the drive to know more and to ask questions are qualities that employers look for and are part of the skills taught in a liberal arts education. Italian and comparative literature professor Graziella Parati closed the panel by saying that this forum is only a beginning and that the faculty must draw students to much larger discussions involving liberal arts and STEM. She noted the importance of bringing back alumni who have had different careers than what their major would usually lead to. In an interview after the forum, Parati said that while the discussion was great, students need to become more involved, as the problems she sees as a professor might be different from what students might see. History professor Richard Kremer said he enjoyed the discussion, noting that it made him think about how people involved with the liberal arts could be more creative in the way they present the liberal arts education to people outside the field. “The way we package the liberal arts, the way we talk about the liberal arts to people who are not in them is, I think, a challenge,” he said. In an interview, Gaposchkin said that the forum did a good job of “meta-processing” what liberal arts means for Dartmouth.